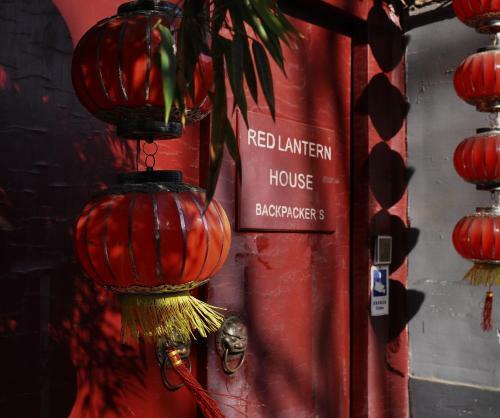 Nestled in a lush Siheyuan with big old trees in the courtyard, Red Lantern House is an ideal choice for backpackers who are seeking to experience the charm of traditional Beijing. Shichahai which is ringed by restaurants, bars and former residences of famous people is about 1 km away. Located a 6-minute walk of Xinjiekou Metro Station (Line 4) and a 10-minute walk of Ping'anli Metro Station (Line 4&6), Red Lantern House is within a 15-minute walk of Prince Gong's Mansion. Beihai Park is a 10-minute drive away. The Forbidden City can be reached in 20 minutes by car. It takes 1 hour to get to Beijing Capital International Airport by taxi. All rooms come with heating facilities, air conditioning and clean bedding. Guests can take a shower in the shared or private bathroom. There is a shared lounge where guests can have a relaxing time chatting with each other. Guests can enjoy meals at the on-site restaurant. Meanwhile many other restaurants can be found within walking distance. Guests are required to show a valid government-issued ID card or passport upon check-in. Please inform Red Lantern House in advance of your expected arrival time. You can use the Special Requests box when booking, or contact the property directly with the contact details provided in your confirmation. Payment before arrival via bank transfer is required. The property will contact you after you book to provide instructions. Цена: CNY 280.00 ... CNY 320.00; select dates below to get current rates. Цена: CNY 240.00 ... CNY 600.00; select dates below to get current rates.